Nothing new - but pretty! 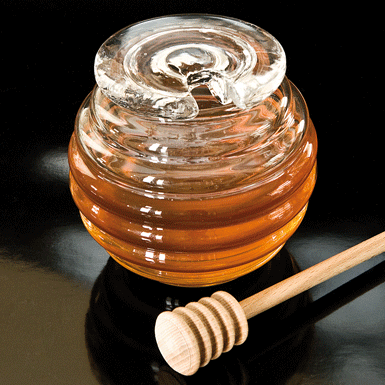 There is a beech honey-spoon included! Mouth-blown into the mould. Cover hand poured into the mould.